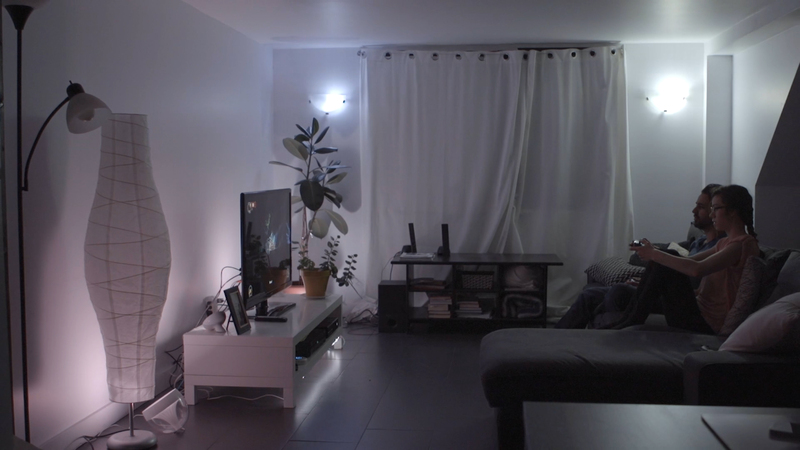 A Quebec-based games studio has teamed up with Philips Hue to create the first official smart light gaming experience to use Philips' tech. While many VR systems will draw you out of reality into a virtual world, this approach brings the virtual world into reality, using Philips Hue. Frima, the games studio, has managed to sync the smart lights to match the onscreen action of its quirky co-op platformer for Xbox One, Chariot. As you can see in the video below, Hue lights around the room will automatically change to match the colours on screen as you play, as well as flashing red when you're attacked. It's definitely not a cheap way of immersing yourself in gameplay, with a starter kit starting at $200. To get an experience like the one in the video you'd have to fork out over $800, which is putting it in the VR headset price range. Philips has experimented with augmenting what's on screen itself with its Ambilight range of TVs which emit coloured light from around the display and can be hooked up to individual light bulbs - for instance, turning the living room green for a football match. This tech is likely to find its way to more games and smart home systems in the future as manufacturers like Philips look to appeal beyond tinkerers and early adopters.